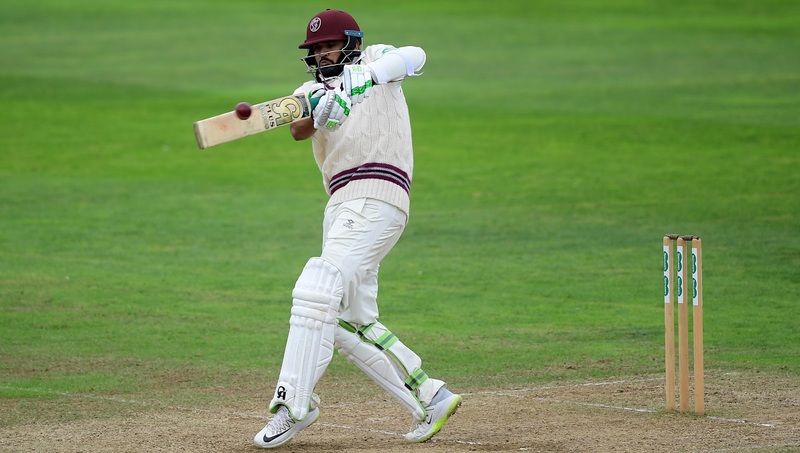 James Hildreth and Azhar Ali both reached the 50-mark as Somerset fought back against Surrey on a weather interrupted day three at the Cooper Associates County Ground. By the close of a day limited to 49.3 overs by rain and bad light, the hosts had reached 168 for three in their second innings and required a further 171 to avoid an innings defeat. The match looked set to end inside three days when Somerset slipped to four for two, following on. However, the home side found a steely resolve and Hildreth made 60 and Azhar Ali ended the day unbeaten on 61. Overnight rain prevented play getting underway until noon and when it did Somerset’s last wicket pair of Josh Davey and Jack Leach added 24 before Davey looked to drive Morkel and was caught at point by Mark Stoneman. Somerset were all out for 146 and were soon in trouble in their second innings as Morkel bowled Trescothick in the opening over. Tom Banton hit a sweet on-drive for four off Tom Curran, but was bowled by the next ball. 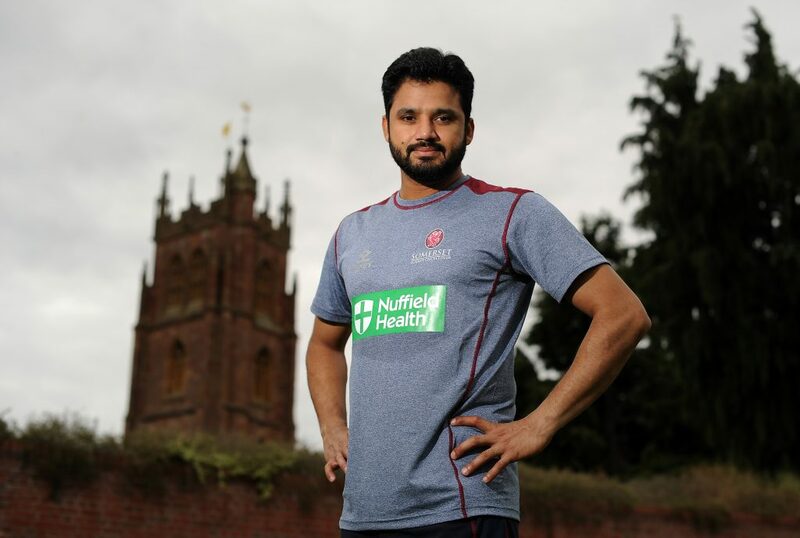 Surrey could sense victory in the air as Hildreth walked out to the middle to join Azhar Ali. 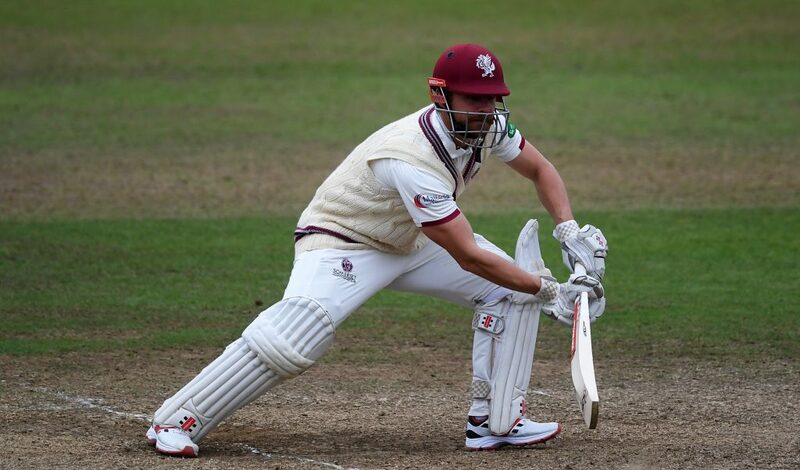 However, the third-wicket pair gradually grew in confidence and in the 13th over a blistering cover drive from Azhar Ali off Conor McKerr saw the Somerset 50 up. The duo continued to prosper and Hildreth went to his half-century with a single off McKerr to square cover, his runs coming off 68 balls with eight fours. Two overs later Azhar Ali edged McKerr to the third-man boundary to bring up 100, shortly after which the players left the field for bad light for an early tea. When play resumed only two more balls were possible before the players went off again due to further bad light. After an hour, play resumed with the loss of 16 further overs. Tom Curran switched to the Somerset Pavilion End and in his second over made the vital breakthrough when he tempted Hildreth to drive at a fuller ball and was caught behind by wicketkeeper Ben Foakes. Azhar Ali went to his fifty with a boundary to backward square off McKerr, having faced 97 balls and hit nine fours. 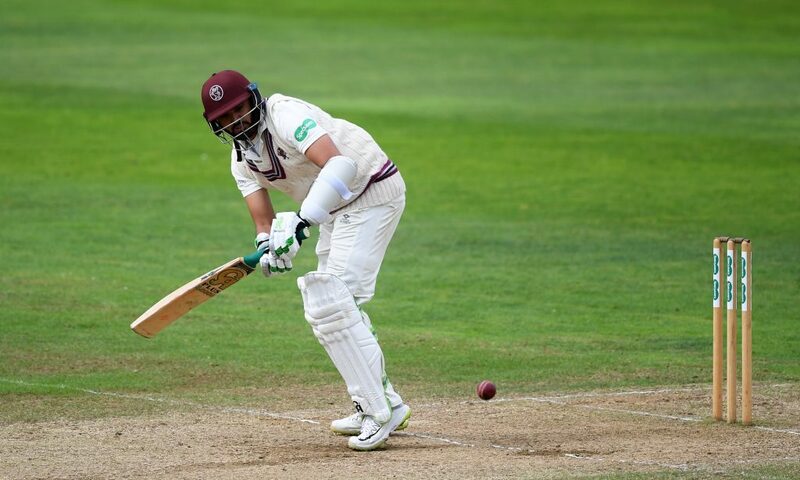 Somerset had moved onto 168 for three off 42.2 overs when bad light stopped play again bringing an early close to proceedings, by which time Azhar Ali and Tom Abell (21 not out) had added 61. At the close of play Azhar Ali said: “When you don’t do very well in the first innings and have to follow-on you feel down and it’s always a tough situation. “Even though we have a very good batting line up, we still have a big challenge ahead of us. I think that everyone has responded well especially Hildy, who played as he always does in pressure situations. He played very fluently again. “We have got some partnerships going again which you need to do to get back from situations like this. I am really happy with that and hopefully we can build on that tomorrow. “It was quite difficult having to go on and off because of the weather, but in the end I’m quite happy to have finished with a quite decent performance today.